Five years ago, in a climate of fear and harassment from animal rights extremists, 1,000 students, staff and members of the public marched through the centre of Oxford to defend life-saving medical research. Led by a 16-year-old student, Laurie Pycroft, the Pro-Test rally helped change the attitudes of public, politicians and media towards animal research in the UK. On Friday February 25th 2011 Pro-Test are holding a series of events to celebrate the progress Pro-Test has made over the last five years. From 12 – 2pm Pro-Test will be manning a series of stalls on Cornmarket in order to show its continued efforts to educate the public about the crucial role of animals in medical research. Come along and support the cause! At 4pm Pro-Test members will head online to Nature’s live Q&A on the animal research issue (link). Pro-Test members have already provided background articles for Nature to support this event. Tom Holder – Founder of Speaking of Research, Pro-Test’s US sister-organisation formed in 2008. Holder will discuss successful campaigning methods, and the lessons learned from the UK and US pro-research movements. University members will be required to bring their university card. Non-university members should email tom[at]pro-test.org.uk to book tickets. If you have watched TV in the past week or two, you may have seen the excellent ads produced by the British Heart Foundation (BHF) as part of a major fundraising drive to support their new Mending Broken Hearts campaign. The Mending Broken Hearts campaign is a major new multidisciplinary initiative which seeks to harness the power of regenerative medicine to better treat, and one day cure, heart failure. 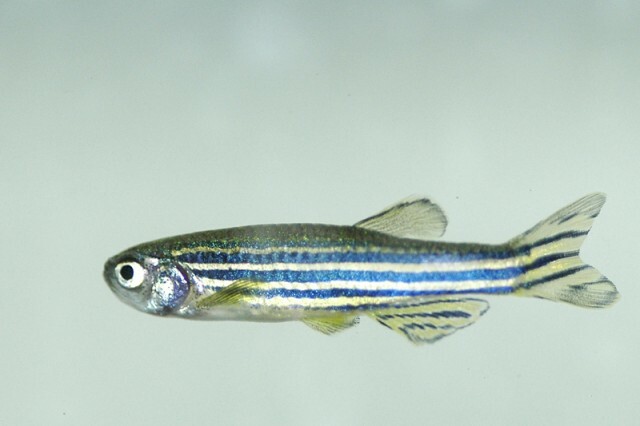 If you want to learn more about this work, the BHF website has information on the science behind the initiative, and why their scientists are studying zebrafish. It is an ambitious and fascinating project, and an excellent example of how the differences between species can be as valuable to medical advancement as the similarities. But that’s not all that is striking about this campaign. This is a fundraising campaign by a major medical research charity that not only acknowledges the importance of animal research, but places it centre stage. Little more than a decade ago that would have been unthinkable. When I first started my career in science in the late 1990’s public support for animal research in the UK was considerably lower than it is now, and few scientists willing to discuss their work in public or counter the misleading propaganda of animal rights activists. Animal rights extremists appeared to be able to harass, intimidate and coerce at will, using tactics such as hate mail, vandalism, arson, grave robbing and violence to force several animal breeders to close, and even contributing to a decision by Cambridge University to abandon plans to construct a new primate laboratory in 2004. As the 21st century dawned the future of biomedical research in the UK looked very bleak. But behind the scenes things were changing. The tireless efforts of research advocacy groups including RDS and the Coalition for Medical Progress (now merged to form Understanding Animal Research ), Sense about Science, and Seriously Ill for Medical Research, who spoke up for animal research and countered the distortions spread by animal research, and the bravery of individuals including the Oxford neuroscientist Professor Colin Blakemore and patient activist Andrew Blake, who continued to speak out in support of animal research despite threats against themselves and their families, began to yield dividends. As time went on more and more scientists were persuaded to discuss the role of animal research in their work in more detail when talking to journalists, rather than referring obliquely to “laboratory studies”, and by the middle of the decade opinion polls indicated that public support for the use of animals in medical research had increased dramatically. Politicians also began to wake up to the threat posed to science in the UK by animal rights extremism, and the danger that other unrepresentative minorities might adopt the tactics of animal rights extremists to foist their views on the rest of society: Something had to be done. A series of laws were passed to prevent intimidation and harassment being used as campaign tools, while for the first time sufficient resources were made available to police units to counter domestic extremism. 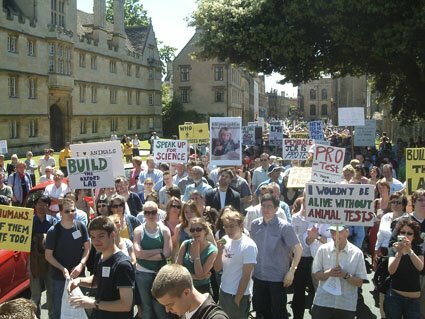 The tide finally turned in the spring of 2006 when hundreds of citizens, scientists, students in Oxford joined together under the banner of Pro-Test to march in support the construction of a new animal research laboratory. Responding to threats by animal rights extremists, and inspired by the example set by Laurie Pycroft, the marchers showed that they would not be silenced and would not be intimidated. That rally, and the widespread coverage it received in national and international news media, released a pent-up wave of support from animal research that almost instantly changed the tenor of the debate on animal research in the UK. The new Oxford laboratory was completed in 2008. Now five years later many of the animal rights extremists whose terror campaigns made the lives of so many people a misery are behind bars, and scientists are more willing than ever before to talk about the contribution of animal research to medical progress. So the zebrafish are not just an example of the promise of 21st century medicine, but show us that if scientists and supporters of science stand together we can defeat extremism, we can counter the lies and distortions spread by animal rights campaigns, and we can secure the future of scientific medicine. That's a lot of hope for such a small fish. 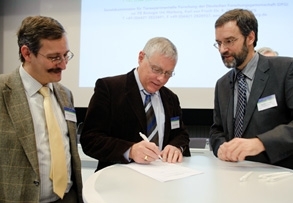 Top European scientists have pledged to engage in more public dialogue, openness, and education about animal research. Concerned about threats to the future of medical research, the scientists met recently and drafted a declaration that affirms commitment to responsible research and animal welfare and calls for increased effort to facilitate public understanding of the essential role that animal studies play in contributing to scientific and medical progress. The call for “trust, transparency, and communication on animal research” was adopted by the first Basel conference “Research at a Crossroads” November 29th. The Declaration can be found here, along with an invitation to sign up to it. “Over the last 100 years biomedical research has contributed substantially to our understanding of biological processes and thus to an increase in life expectancy and improvement in the quality of life of humans and animals. However, the list of challenges and new opportunities remains long. Biomedical scientists in Germany perceive a separate crisis — increasing legislative restrictions that make it more difficult to carry out animal experiments. Hearing little to the contrary from researchers themselves, the public tends to assume that animal experiments are an unnecessary evil, so politicians respond with more restrictions." That problem was a major motivation for the Basel Declaration — drafted and signed at a meeting in Basel, Switzerland, last week (see page 742). Its signatories pledge to engage in open debate with the public about their work on animal experiments, to stress the high ethical standards to which they adhere and to explain why they have to do it. They intend, for example, to visit local schools or to mention that their research used animals when speaking to the press about new results." Such efforts have already yielded dividends; the Nature report notes how a determined effort over the past decade by scientists in the United Kingdom to inform the public about the reality of animal research resulted in greatly increased support for it. Speaking of Research applauds this effort and joins in urging others not only to sign on to the declaration, but also to act on the pledge to continue to increase efforts in outreach, education, and engagement. In fact, there are many groups and sources for information and conversation to which scientists can turn to for advice on outreach. They include advocacy groups and collaborative networks such as Understanding Animal Research, Americans for Medical Progress, States United for Biomedical Research, and the Foundation for Biomedical Research. They also include scientific societies such as the American Physiological Society, Society for Neuroscience, American Association of Laboratory Animal Science, and the Federation of American Societies for Experimental Biology. Many academic institutions have actively built outreach and education programs that offer good models for others. Speaking of Research also offers information, tools and support for those who choose to contribute to public discussion of animal research. There are many resources and avenues to support individuals who want to learn more and identify a range of effective ways to contribute to the public discussion of animal research. Before we finish we’d like to draw your attention to an excellent example of the importance of basic animal research, Christina Agapakis writes on the Oscillator blog about a fascinating study which used gene therapy to restore vision in blind mice. 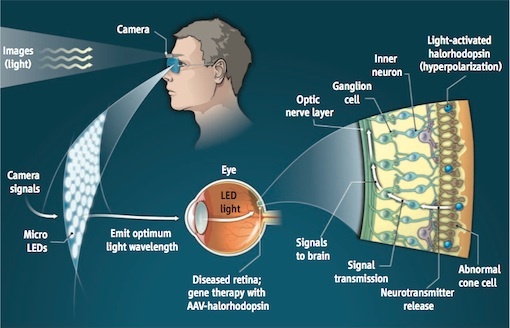 This news comes only a few weeks after scientists in Germany reported that they had used a vision chip containing 1,500 light-sensitive elements to partially restore sight in patients who were blind due to damage to the light-sensitive cells in their eyes. In an open access paper published in Proceedings of the Royal Society B, the team who carried out this important clinical study highlight the importance of in vivo studies in rats, cats, and pigs, and in vitro studies using isolated chicken retinas, in establishing both the theoretical basis for this study, and subsequently in determining the safety of the implant they developed. These advances in vision research suggest that devices available to help blind people see in the 21st century will soon eclipse those that Star Trek predicted for the 24th century! This is of course exactly the kind of groundbreaking biomedical research that the Basel declaration seeks to defend. The First Decade of the Human Genome: What’s on the Horizon? To mark the 10th anniversary of the sequencing of the human genome the BBC aired a documentary yesterday evening entitled “Miracle cure: a decade of the human genome” that can be viewed on the BBC iPlayer. It was an enjoyable look at what has been accomplished since the famous announcement at the White House in June 2000, and while I think the program could have done with exploring some of the science in more depth, it gave a good overview and didn’t shrink from the sheer complexity of many of the questions that face scientists who are now attempting to understand the genome. The program followed three individuals as they sought to understand what impact the knowledge gained from studying the genome could have on illnesses that have affected them, breast cancer, cystic fibrosis, and alcoholism, and what basic, applied, and clinical research is currently underway. The case of a woman whose breast cancer is linked to a defective BRCA1 gene turned to discussion of the potential for the development of personalized medicine – treatments that are tailored to the genetic makeup of an individual patient’s cancer cells. Animal research plays a very important role in the development of targeted therapies that can be used in personalized medicine, and an early example of this is the drug Herceptin, which is used to treat cancers that express the HER2 gene. The cystic fibrosis thread focussed on the development of gene therapy and clinical trials now underway under the direction of Professor Eric Alton of the UK Cystic Fibrosis Gene Therapy Consortium. These gene therapy trials use lipid spheres to transport working copies of the CFTR gene – defective in cystic fibrosis – to the lungs of patients, and the particular lipid formulation used in these trials, known as GL67A was selected after careful evaluation against other candidates, first in CF mice and then in sheep (1). Mice models of cystic fibrosis have helped researchers to understand more about the disease and to assess therapies, but until very recently research has been hampered by the lack of a large animal model of cystic fibrosis that models the lung pathology of cystic fibrosis. This situation finally changed in 2008 when scientists at the Universities of Iowa and Missouri produced genetically modified pigs that lack the CFTR gene and develop all the pathologies that are characteristic of cystic fibrosis in humans. This new animal model for cystic fibrosis will be very useful for evaluating the safety and efficiency of new gene therapy techniques as the science advances. Finally the thread on the influence on genetics on alcoholism was a reminder of just how complex the interaction between an array of genetic variations and the environment can be, and that while it may be possible to identify factors that predispose an individual towards a particular condition it is often difficult, if not impossible, to identify a single cause that tips the balance. Considering the enormous damage caused to society by addiction, and the high failure rate of addiction treatment programs, there is no doubt that addiction research is a neglected area within biomedical science. This is sad because research into the physiological underpinnings of addiction can aid the development of more effective treatment programs. Hopefully the identification of genes that predispose certain individuals to addiction will help society to realise that science can make an important contribution to solving this medical and social problem. 1) Griesenbach U, Alton EW; UK Cystic Fibrosis Gene Therapy Consortium. "Gene transfer to the lung: lessons learned from more than 2 decades of CF gene therapy." Adv Drug Deliv. Rev. Volume 61(2), Pages 128-39 (2009) DOI: 10.1016/j.addr.2008.09.010. 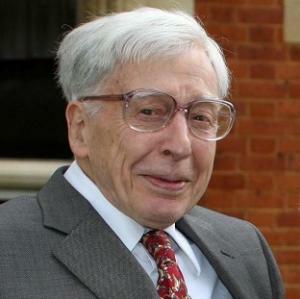 Professor Robert G. Edwards of the University of Cambridge has long been recognized as one of the pioneers of reproductive medicine. His most famous accomplishment, along with surgeon Patrick Steptoe*, came in 1978 with the birth of Louise Joy Brown, the first baby born through in-vitro fertilization. This achievement has now been recognized by the Nobel Assembly who awarded him the Nobel Prize in Physiology or Medicine 2010 for “the development of in vitro fertilization”. As Dario discussed in an article for the Speaking of Research blog a few months ago the development of IVF by Bob Edwards depended on basic and applied research undertaken in rabbits and hamsters by pioneers including Gregory Pincus and Min Chueh Chang, who identified the essential conditions required for IVF. In advanced information accompanying today’s announcement the Nobel Assembly notes the importance of this research in laying the foundations for the development of human IVF by Bob Edwards and Patrick Steptoe, and also discusses how Bob Edwards' own extensive research on the reproductive biology of mice - and animal research he and his colleagues conducted in a variety of species while working on IVF - aided progress. In particular the Nobel Assembly highlights how his experience with mice in enabled Bob Edwards to solve a critical problem that was preventing successful IVF, by developing a way to harvest human egg cells at the optimal stage of their maturation prior to in vitro fertilization. Without the decades of careful animal research undertaken by Bob Edwards, Gregory Pincus, Min Chueh Chang, and scores of their colleagues it is unlikely that IVF would ever have become a reality. We heartily congratulate Professor Edwards on his Nobel Prize, an award that recognizes his outstanding contribution to a medical advance that has brought joy to hundreds of thousands of families around the world. * Sadly Patrick Steptoe died in 1988 and therefore could not share the Nobel Prize with Robert Edwards. p.s. If you haven't done so already please take a few seconds to sign the Science is Vital petition, and, if you can, join the rally in London on Saturday 9th October.